Driving by Little Palace, one might think it is an old Chinese restaurant – wrong. Since it is located next to hipster hot spot Dirty Frank’s Hotdog Palace, one might think this place is dead – dead wrong. The (newer) owners of Little Palace have a track record of making me happy with their menus (Club 185. Del Mar, The Rossi and distant, former cousin Press Grill as exhibits A, B, C and D). 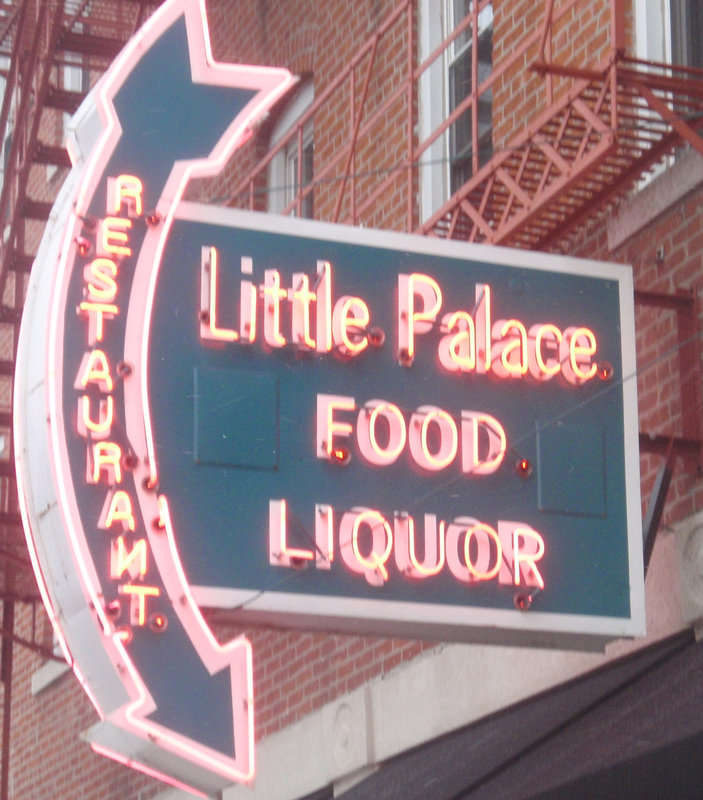 I appreciate Little Palace retaining the historic neon sign and name. I also appreciate that the owners are creating a destination downtown business which is good, not just for improved dining options and increasing parking meter revenues but because a commitment to downtown is important for our city. The space has served Chinese, Greek and classic American fare over the decades. As homage to a previous palace, gyros remain on the menu. The remainder of the menu is largely Italian (mostly Philly style) featuring a few favorites from the sibling restaurants in the Little Palace family. The décor is dark and woody with low light and a more subdued vibe than their next door neighbor. There is a Mad Men feel; you could envision Don Draper popping in for a respite after chasing tattooed bobby sockers at Dirty Franks. With a sign that implies Chinese and a menu that is a bit eclectic, you might wonder if Little Palace has an identity crisis. I assure you that the palace is finding its own groove. 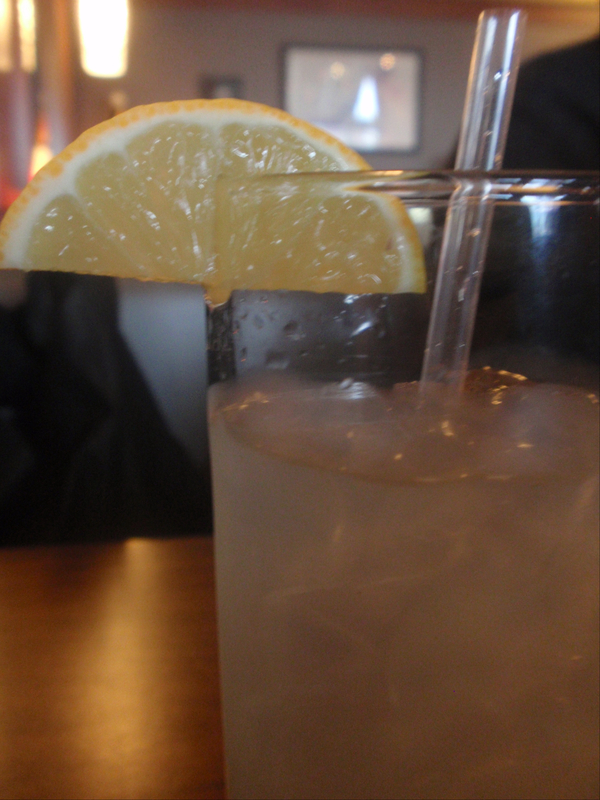 A signature drink is their Italian Lemonade Cocktail – the ingredients escape me but the contents were pleasing to my palate. The bar is well stocked with liqueurs for cocktail connoisseurs as well as draft and bottled beer options for those wanting a microbrew pour. Some items really stand out. The Little Palace crisp chicken sandwich is easy on the wallet at $3 per pop. These small, slyder style sandwiches are sweet in their simplicity – crispy breaded chicken breast with pickle, mayonnaise and Swiss cheese. This Little Palace signature item seems to be the most mentioned menu feature on the interweb sites these days and the accolades are earned. The sandwich will never win a culinary award but it is quick to satisfy a comfort food craving and pairs well with drinking. My award for best move on the menu goes to the $4 side of roasted Brussels sprouts with bacon. I need not say more than to provide the description. These are good and something you can tell your mom about when she wonders if you are eating well. Another major point earning property on the sprout serving meter – the bacon is house cured and damn good. Next on my list are the pizzas – there are several excellent topping choices. If you have dined on pizza at The Rossi (one of my favorite pies in town), you will notice Little Palace pizzas the same style and use the same ingredients. Little Palace does not yet execute their pizzas at the Rossi level but they are getting there so their pizzas is still better than 80% of what you can find in town. One of my favorites from the menu comes from the sandwich selections. 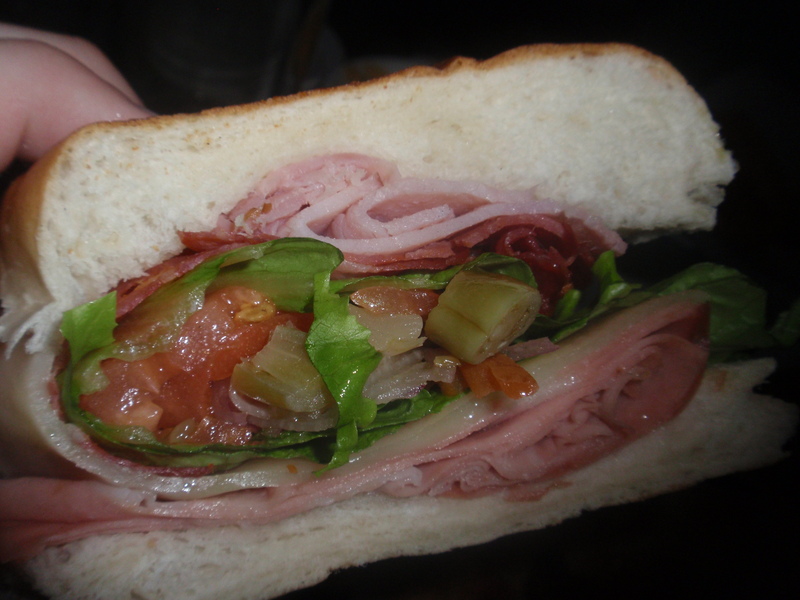 The Great Santini piles on soppressata (pork-based salami), mortadella (another Italian style salami with large chunks of pork fat), shaved ham, mozzarella, and giardinera pepper mix encased in a bun. This sandwich satisfies. There is one item that is the greatest win and the biggest disappointment of the menu. I have to give Little Palace a lot of credit for offering poutine (a Canadian favorite) on the menu. Fries, gravy, cheese curds and (a Little Palace extra) shaved meat poured on a plate. What is not to like? Well, the thing is, the fries are not really fries, they are potato wedges which just does not meet the Canadian poutine code. This is a French fry fail. I mean a Canadian is likely to raise their voice or even complain if they eat this version. 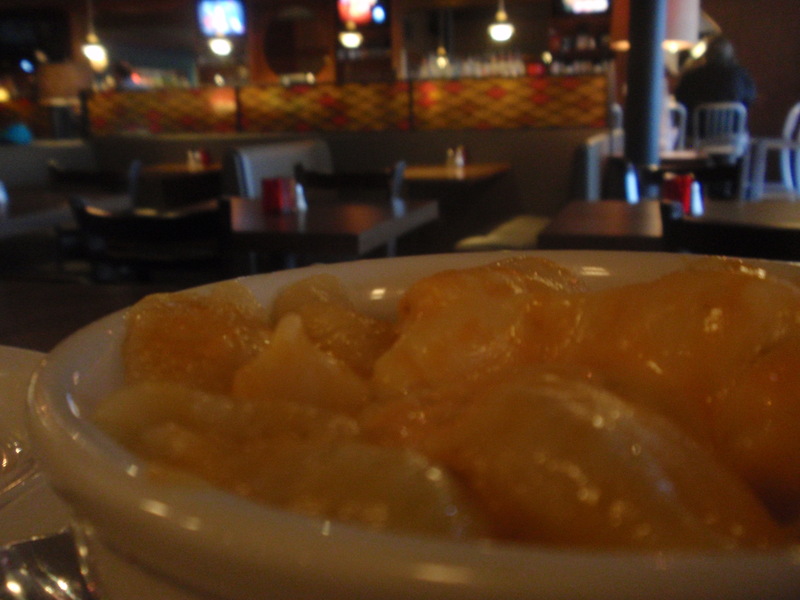 The cheese curds on the poutine have been very “meh” in my samplings so far (I would suggest going local and adding some Blue Jacket Dairy curds to this concoction to take it from “meh” to marvelous). That ends my poutine pouting. Lay siege to Little Palace sometime soon. This is more than a place to park yourself while waiting to get into Dirty Franks; it is a destination worth your dining time. Actually, I would say go to both and share the wealth. (On any given day there is always room for a hot dog chaser at Dirty Franks). This entry was posted on January 4, 2011 at 4:07 PM	and is filed under restaurants. Tagged: Little Palace, Poutine Police. You can follow any responses to this entry through the RSS 2.0 feed. You can leave a response, or trackback from your own site. Why haven’t I been there yet??? ?